Thank you to everyone who wrote to tell me how much you have been missing my newsletters. 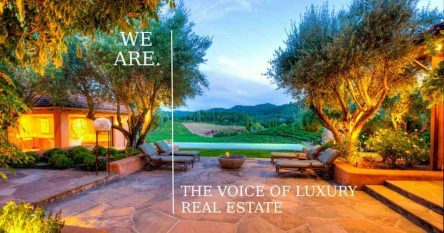 After a five month break I am back and happy to share with you that after eleven wonderful years in the Sotheby’s International Realty network, traveling and building relationships with luxury property specialists across the globe, I have joined Compass. I will continue to maintain the fabulous relationships I have built with Sotheby’s agents across the globe to assist my clients wanting to acquire and sell their international assets. Compass was founded in 2012 by Robert Reffkin and Ori Allon. They have raised 1.2 billion dollars in investment capital from Softbank, Fidelity, Wellington Management, Goldman Sachs, IVP, Advance Publications, Founders Fund, Kenneth Chenault, Chairman and CEO of American Express, Marc Benioff, Chairman and CEO of Salesforce and LeFrak. The real estate industry is going through an extraordinary period of disruption, not unlike what occurred with the arrival of Uber, Lyft and AirBNB. There a lot of new, big, fresh ideas coming out of Silicon Valley, and venture capitalists are liking what they see, as agents and their buyers and sellers embrace the changes and technology. To read the rest of the newsletter please click here. 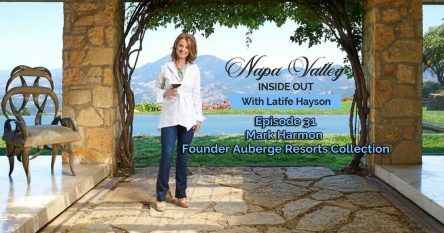 Don’t forget to check out my latest Napa Valley Inside Out Podcasts!